Taiwan's textile industry has for many years supplied innovative solutions to many of the world's leading sports and outdoor brands. Every major brand in the world depends on Taiwan for leadership in Textile development, innovation and quality. Internationally recognized brands like Nike, the North Face, Adidas, Under Armour, Columbia, Lululemon, Jack Wolfskin, and others rely on Taiwanese companies for innovation and eco-friendly products. The Taiwan Textile Federation (TTF) is an organization in coordinating an industry of multiple markets and end uses. 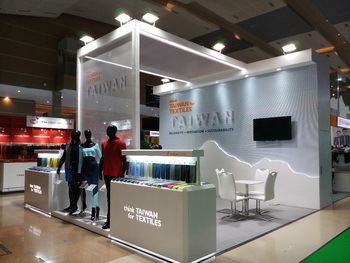 Under the commission of the Bureau of Foreign Trade (BOFT), Taiwan Export Promotion Program (TEPP) has brought unique Taiwan Textiles and a broad collection of Taiwanese companies to the market. TTF showcases the strengths of its member companies at several major trade fairs every year. 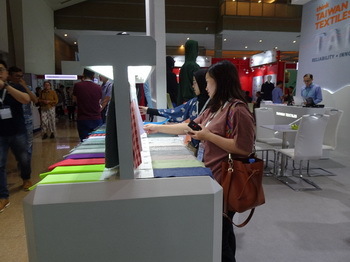 These developments were highlighted at INATEX 2019, held in Jakarta International Expo on 28-30 March, with a special booth organized by the Taiwan Textile Federation featuring 16 companies. Taiwan participated companies producing functional and fashion textiles. The quality of Taiwan's textile prowess is indicated by its partnerships with brands such as Pt. Pan Brothers, s. Olivera, EIGER, and SHAFCO. 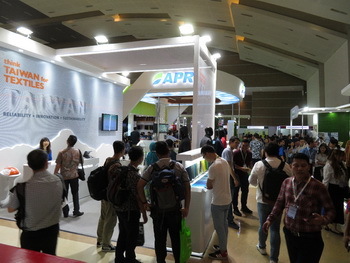 Under the slogan “Think Taiwan for Textiles”, Taiwan Select featured a number of outstanding Taiwan textile suppliers, which regard the fair as a good platform to reach potential Indonesian partners and showcase their latest products. Taiwan Select attracted brands, textile and garment manufacturers, to come to visit and source. *The Taiwan Textile Federation will be exhibiting at Outdoor Retailer Summer Market on 18-20 June 2019, in Denver, Coloroda, Intertextile Shanghai Apparel Fabrics on 25-27 September 2019, and INTEX on 13-15 Nov. 2019 in Colombo.